Rising majestically from its beachside setting, Jumeirah at Etihad Towers' dramatic sculptural form and spectacular design set a new standard for luxury accommodation. The complex is made up of five towers: three residential towers, one office tower, and the Jumeirah at Etihad Towers hotel. 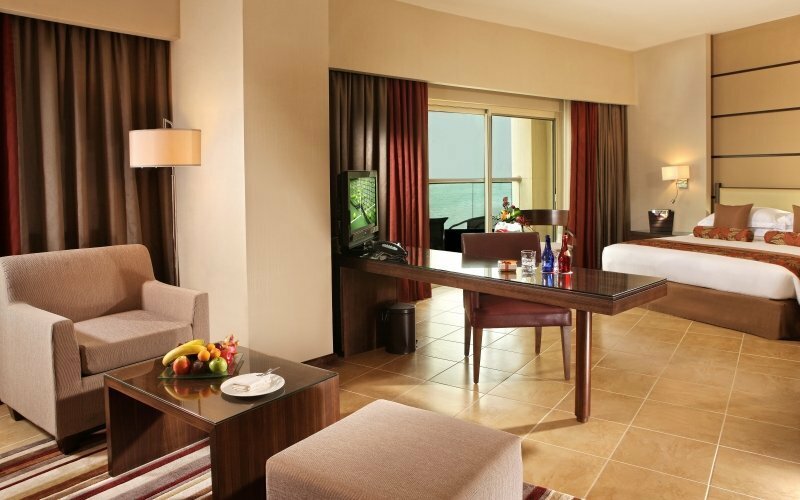 The hotel features a number of unique venues for social events, outstanding conference and meeting facilities, and 382 elegant rooms and suites, which afford some of the most stunning views of the Arabian Gulf. Whether you prefer to spend your time cooling off in one of the three swimming pools, strolling along the glorious private beach or being pampered in the Talise Spa, you'll find the service is second to none. Shop at the world-renowned Avenue at Etihad Towers and sample the dizzying choice of international cuisines, fine wines and imaginative cocktails available at the hotel's restaurants and bars. Make use of exceptional leisure facilities and activities, and hold a successful conference at the unique venues. 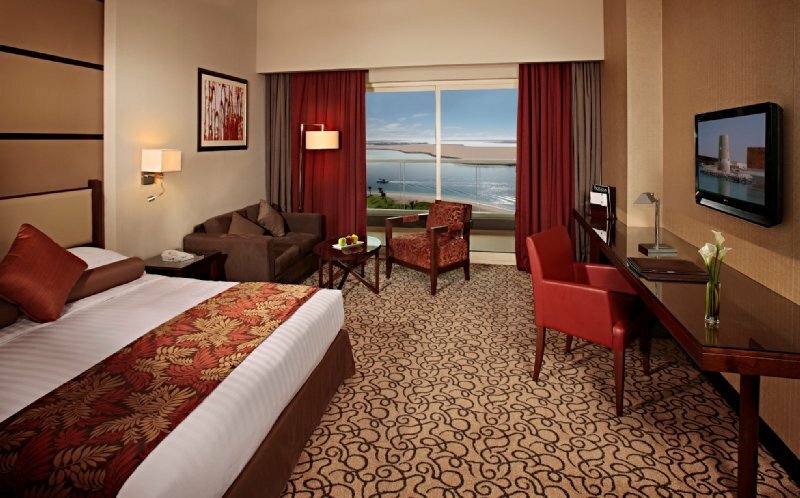 Khalidiya Palace Rayhaan by Rotana is situated in a prime area of Abu Dhabi overlooking the beautiful shores of the Arabian Gulf. This fabulous city resort is only 30 minutes drive from the Abu Dhabi International Airport and a few minutes away from various choices of the largest malls in the capital and points of cultural interest. Cast away in the turquoise waters of the Arabian Gulf Sea, Khalidiya Palace Rayhaan by Rotana Abu Dhabi is the first property to open in Abu Dhabi under Rayhaan Hotels & Resorts by Rotana brand. The 5 star property offers spacious accommodation with stunning views. The rooms and suites with their modern design complement the values of the contemporary Arabian culture, in an alcohol free environment. Breakfast and Internet Connection included. Please be kindly advised that the distance between the 2 hotels is 500 m/0.31 miles. Note: Last day for hotel reservation is 04 September 2013. 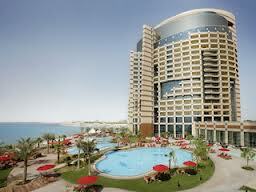 The above rates are quoted in AED per room, per night, breakfast and all taxes included. 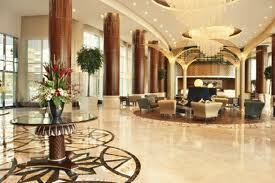 Name changes for the booked period are free of charge, regarding the date modifications please contact the hotel. The wonderful range of cuisines at Rosewater's buffet will make you wonder how on earth they keep the standards so high across such a wide offering. Whether it is seafood or steak, Indian curry or Arabian salad, every last dish is lovingly and expertly prepared. With its extravagant, French-inspired interior, Brasserie Angelique makes you feel as if you have found your very own corner of France. And once your food arrives, you will be convinced. This exquisite restaurant takes fine Lebanese dining to a whole new level. The decor is chic yet warm, the staff are knowledgeable and attentive. But what really sets Li Beirut apart is the passion of its chef and his team. This casual yet chic poolside restaurant offers a varied and carefully considered menu of firm favorites, from sandwiches and burgers to salads and shakes. When you reach Level 63 of Jumeirah at Etihad Towers, you will find your culinary expectations have also risen. Happily, Quest reaches culinary heights that most restaurants can only aspire to. Scott's offers you the very finest seafood dishes, just a stone throw from the beautiful turquoise waters of the Arabian Gulf. This sleek, modern Japanese restaurant offers contemporary dishes, dreamt up by kaiseki-trained chef Ando. Discover authentic Italian dining at BiCE with its contemporary design and the ambience of the Italian charm. Situated next to the Lobby Lounge, this bar is an intimate venue for a quiet drink with friends or clients. Relax among the luxurious surroundings and enjoy the warm, genial atmosphere. Although Abu Dhabi offers so many wonderful places to enjoy tea and a light bite, the Lobby Lounge in Jumeirah at Etihad Towers stands out for its stunning setting. 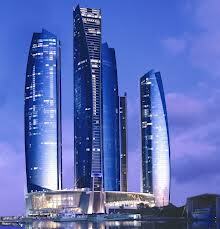 The Observation Deck at 300 is the highest vantage point in Abu Dhabi. In all of Abu Dhabi, it is hard to imagine a more stylish spot to enjoy cocktails and top tunes than Ray's Bar. Looking down from Level 62 of Jumeirah at Etihad Towers, you feel like you are in another world and with the amazing DJ sets, gorgeous cocktails and chic ambience, you almost are. This restaurant is located in the lobby. Seats are available inside restaurant as well as outside. Seats are available inside restaurant as well as outside. Cuisine: Arabic and Oriental specialties Located near swimming pool. Dress code: Casual Open for lunch, dinner and Arabic Shisha from noon to midnight. N.B.! The hotels do not provide airport shuttle service. Please click here to see the possible ways to reach the hotels from Dubai International Airport and Abu Dhabi International Airport.